Hi, I do apologize for not replying many months ago. Unfortunately when we got home from our afterwards Vietnam vacation I was very sick and ended up in hospital. I'm much better now, and being on Xmas leave just catching up on a few things. Generally the time spent at each site was about right for us. I just felt there was too much packed in to each day. We had one chap in our group from America who kept insisting we spent longer at a number of sites, especially the Great Wall, which meant most of us sitting around waiting for him to turn up so we could move on to the next site. We asked the guide to get a consensus of what everyone wished for, not just catering to one person and she did this successfully when again he requested longer time at various places. The meals were all very good and having drinks included was much better than most tours. Perhaps instead of people choosing courses it would be quicker to have a set menu. With only one menu at each table it took quite a while for everyone to read and choose. The Dumplings meal was my favorite. Both guides were very knowledgeable and informative. They were very good at imparting information about the sites visited and answering questions. I appreciate it must be hard speaking many languages, but I did find the repetition became quite annoying. Both guides would make a comment and then repeat the main words 2 or 3 times. The guides kept in touch with other colleagues and were good to change the program so that we didn't get stuck in long queues of traffic or large numbers of people at various sites, mainly in Beijing. Both guides were very good, we could understand them well. It did probably take a wee while to get used to the first guide, not because of how she spoke, but listening to people who have leant English as a second language is always different to native speakers. I'm sure listening to people who have learnt Chinese is just as different for you. The drivers were very good; I didn't feel concerned at any time. All hotels were better than expected for a 4 star. All had very good breakfasts. The Beijing hotel however was really not in an area of much interest. We had 3 nights there before the tour started and I wouldn’t recommend it if doing that, but it was fine once the tour started. The Chinese Restaurant in the Beijing hotel wasn't very nice but the restaurant where we had breakfast was great. The tour required a far greater level of fitness than I thought. This should be noted on the info for this tour. I felt there was too much added in to each day. The Kung Fu Show and the Theatre Show and dinner were a wonderful surprise and very enjoyable. 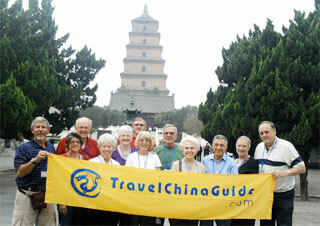 Travel China Guide is a company I would recommend to friends and family should they be traveling to China. What an awesome 15 day visit of an amazing country, so different from Australia in many ways. The meals were all excellent and I was pleasantly surprised by the quality of food, excellent service by staff and the locations were wonderful, I have no idea how you would find such great restaurants on the 5th floor of so many buildings. I would recommend all meals and restaurants, however, it was easier on us if the Chinese meal was a set menu and we didn't have to make choices from the extensive menu ourselves as often we didn't really know what to order. Carol in Xian had a list of the recommended dishes and we found it very easy to follow her suggestions. 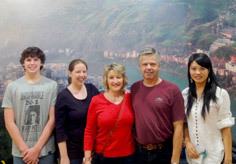 All of the guides were wonderful, in particular I felt Carol in Xian and Michael in Guilin exceeded their required duties, they were particularly happy and helpful and certainly well informed about their area. All guides spoke English at a very good standard, we were able to communicate our needs and wants and I felt very confident in their hands. Our trip to Guilin was enhanced by the amazing guide Michael. A few of the ladies were interested in buying silk quilts and after a long day out with the group, Michael arranged taxis to take us to the silk factory where he negotiated on our behalf for excellent service and guaranteed quality of product, he then ensured we arrived safely back at our hotel, all of this was done in his own time and with no thought that we were taking him away from his family time. His efforts were greatly appreciated; in Australia we call this exceptional customer service and also going the extra mile? Thank You Michael. Our guide in Xian was Carol, she has a ready smile and we found her attitude to be warm and friendly, she also went the extra mile when we had some spare time before dinner she took us to a tea house that was absolutely fantastic and gave us the opportunity to experience additional cultural activities, the young lady in the tea house was also a treat, she was very knowledgeable and we had a fun and educational time. All buses were clean and tidy, they were always on time and were pleasant in their greetings. I was very happy that I was not responsible for driving in the cities and was able to trust your experienced drivers. All hotels were wonderful, rooms were very clean and the breakfast was always very tasty with exceptional service offered at all times. All was made very easy for us with the guides arranging a group check in with our passports and baggage. It was fascinating and certainly well worth the visit. Our guides made sure we were well looked after at every turn. I would certainly recommend TCG for quality and service; we felt very safe and looked after at all times. I have nothing but very high praise for the services provided by travelchinaguide.com!! Everything has worked out perfectly. We only have several more days in left in China and our experiences have been nothing but positive. The train tickets you provided us with were delivered to our hotel as promised. We encountered no problem with our air tickets. The tours, guides and drivers we arranged through you were wonderful. The guide’s language skills were excellent. They provided so much information for us. They were very flexible and when a special request was made there was no hesitation. The vehicles and drivers were equally good. It is always a little scary to conduct business over the internet. When my many inquiries were answered promptly, I knew that it was a sign that I had chosen a good agency to have made some of our arrangements. Without hesitation, I would definitely recommend travelchinaguide.com to anyone traveling to China. Although we did not book an entire tour, what you provided us with will always be remembered. Please feel free to post these comments as well as the email address. We would be happy to answer any questions from potential clients. It was fantastic and was organized very well! Thank you again! We were looking for a flexible private journey, since we had heard how difficult it can be in a country if you cannot speak the language, but at the same time we did not like the restrictions of large group. Your company gave us the perfect balance of structure and flexibility, and we had an absolutely incredible experience. The lunches and dinners arranged by the tour were mostly very good. Overall, the best meal we had was the a la carte lunch on Nov 2 (after the Forbidden City tour). However, we are very surprised with how little English the restaurant staff had, especially being in the tourism business. 100RMB budget for each person for a meal was too much food. We would have preferred that meal budgets were not included, and we pay the bill ourselves according to what we eat and order instead. Most of the guides surpassed our expectations. Their English was very good and most of them were very helpful, sincere, and considerate to make sure our travel experience was the best it can be. We had great conversation with most of the guides. They took their time showing and telling us about each attraction, and offered great knowledge about China (past and present). Please let these 6 guides know that we appreciate all their time, efforts, and hard work to make our trip amazing. Please forward my email address to them, and let them know that they can send me an email if they wish. Most of the drivers were great and very skilled. They made sure the car was clean, and that we got in and out of the car safely. The hotels in Beijing, Shanghai, Guilin, and Guangzhou were excellent in terms of comfort, hygiene, and atmosphere, except the location of the hotel in Beijing was poor, because it was too far from city central and it was difficult to call taxis. The breakfast quality at most hotels were fair, but the breakfast at the Holiday Inn Central Plaza in Beijing had the best food. The staff at most hotels were not very helpful. We were surprised at the lack of service and the extremely low level of English of the hotel staff, especially at the Western chain hotels (such as Holiday Inn). At first, we were worried about the legitimacy of an online tour company. Transferring a large sum of money to a company that we had not heard of before definitely takes a tremendous leap of faith. 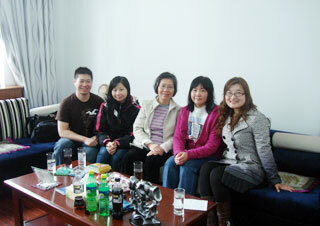 However, we were assured by testimonials and emails from previous travelers. We would definitely use Travel China Guide again for future trips to China, and we would absolutely recommend this tour company to other travelers. Thank you for your service. We enjoyed our time very much. We loved the food that the guides had arranged for us, as it allowed us to taste the flavors of the different cities we visited. The restaurants and service of the restaurants were adequate, and we particularly liked the one in Lijiang's Baisha Village. That environment of the restaurant was nice and the food was also delicious. 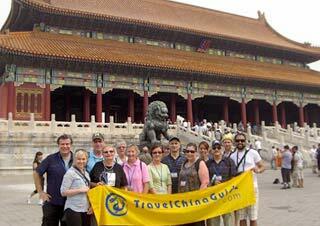 The guides were all very knowledgeable of the history and culture of the cities and attractions. All of them had very good knowledge of the cities and attractions. Most of them provided a lot of interesting information. 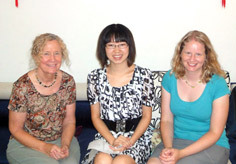 We could understand the information that all the guides shared in English. Our guides in Lijiang (her name is Angel) and Kunming (his name is Evan) were both very proactive and shared with us information in an interesting manner and also allowed us to taste very unusual food. They made our trip particularly interesting and fun. They shared with us the local culture by introducing different food and also shared with us interesting stories about their own way of life and experiences. Angel's bubbly personality demonstrated her passion for her work and made our trip very enjoyable. We are very happy being with them. All the drivers were excellent! They were patient and friendly, and all were safe drivers. Their cars were always tidy and clean everyday. The hotels were all clean and comfortable and the breakfast was acceptable.